A surge in after-hours trading for Amazon.com added US$3,3bn to the fortune of Jeff Bezos, putting him less than $5bn away from becoming the world’s richest person. 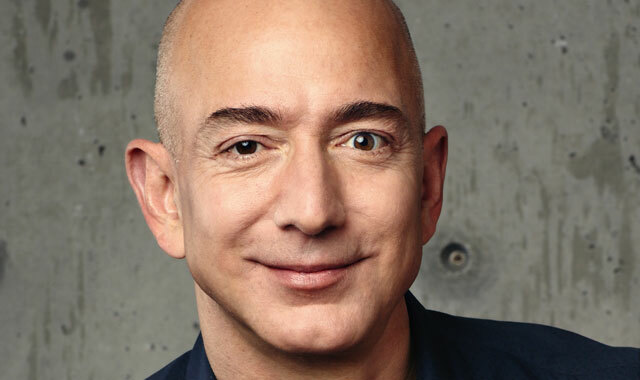 Bezos saw his fortune surpass $80bn (R1,1 trillion) for the first time, according to the Bloomberg Billionaires Index. The 53-year old has added $65,2bn to his net worth since the index debuted in March 2012 and ended Thursday with a net worth of $79bn. His net worth will surpass $80bn on the index for the first time if the gains hold on Friday. Amazon shares added almost $50 after the company projected sales that may beat estimates in the current quarter, furthering an unbroken 20-year streak of double-digit revenue growth. Amazon had first-quarter sales of $35,7bn and earnings of $1,48/share, beating Wall Street analyst expectations. Shares closed at $918,38 on Thursday and reached as high as $965 after hours. The rise for Bezos beat the after-hours gains seen by Google co-founders Larry Page and Sergey Brin. The pair added $1,4bn when shares of Google parent Alphabet rose as high as $938,18 on news that the smartphone ad business helped Alphabet post revenue of $20,1bn and net income of $7,73/share. Page is now worth $44,7bn and Brin $43,7bn, the 11th- and 12th-richest people in the world on Thursday. Jeff Bezos? Jeff Bezos?……’Scratching head in deep wonder”…I can’t say I can place Mr. Bezos in any portfolio in the Zuma cabinet can you? Maybe the good Mr. Bezos was given a pozzy under the presidential prerogative rule, or misrule depending on where you sit in transformation terms. Here’s the clincher in this matter: Does ol’ Jeff own a pad in Saxonwold?